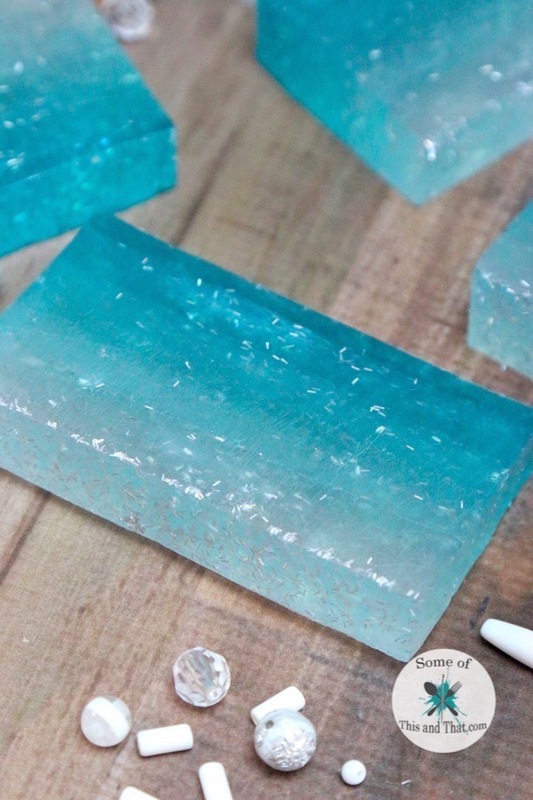 I love melt and pour soap! It is just so easy to work with, and only your imagination can limit what you can do with it. 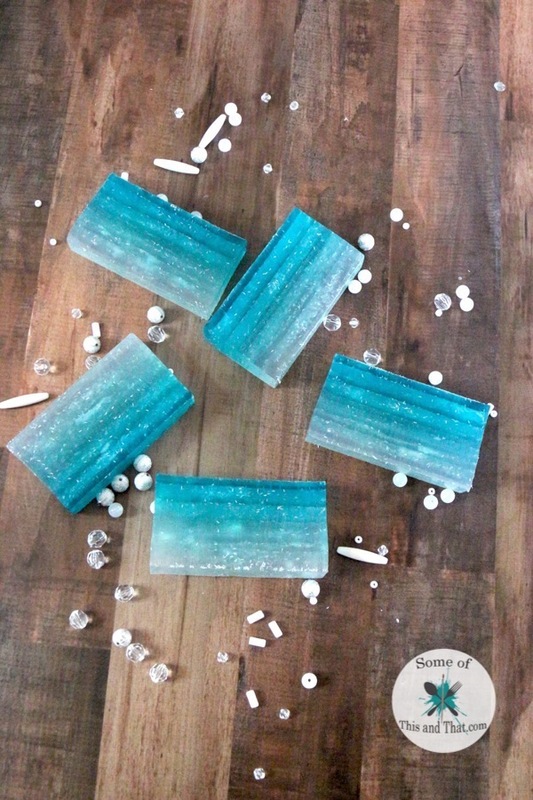 While I do love making my own soap from scratch, it is just easy to grab a block of melt and pour and get to work. 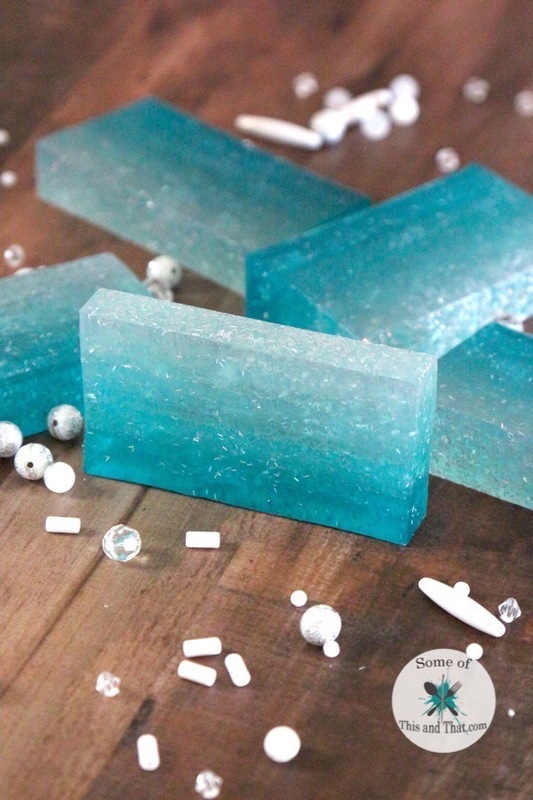 This week I am sharing this fun DIY Ombre Soap project is perfect for goody bags at any beach themed (or mermaid theme) party! You can create so many different colors, and I just had to add some glitter to give it a little extra. If you do opt to use glitter, I would recommend using cosmetic grade glitter though. 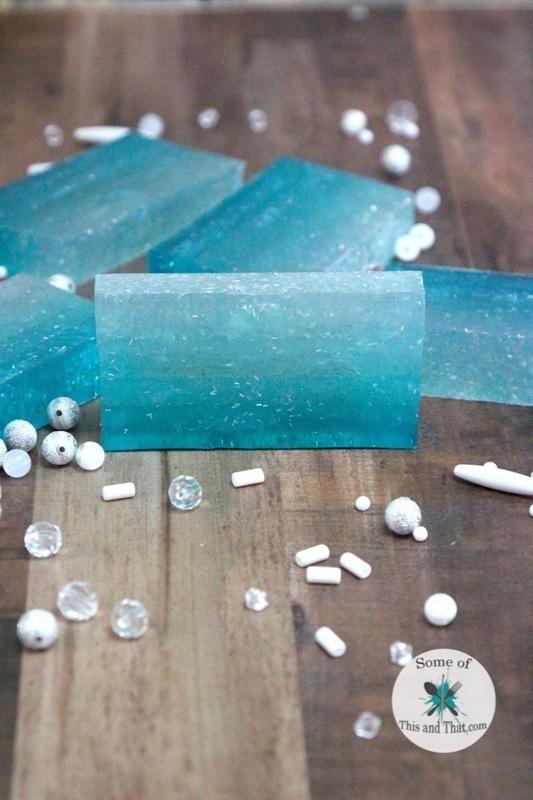 To see exactly how I made this DIY Ombre Soap, be sure to check out the video below! I can not wait to make a few different batches in different colors to give out as gifts! If you have a mermaid lover in your life, this would be a great gift!